Chinese New Year is just around the corner and what better way to celebrate it than with a relaxing brunch and some nice conversations in a well-decorated Chinese restaurant. 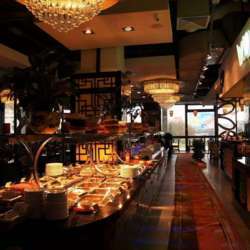 This restaurant offers a large collection of Chinese cuisine in the form of a self-served buffet: hot dishes (buffet table) and WOK raw products selected by the customers and prepared by the chef on spot. PS: Due to the fact there are limited seats on a table, please confirm that you can come today or tomorrow or dis-enroll if you already know you will not make it this time, so that the people on the waiting list can join.